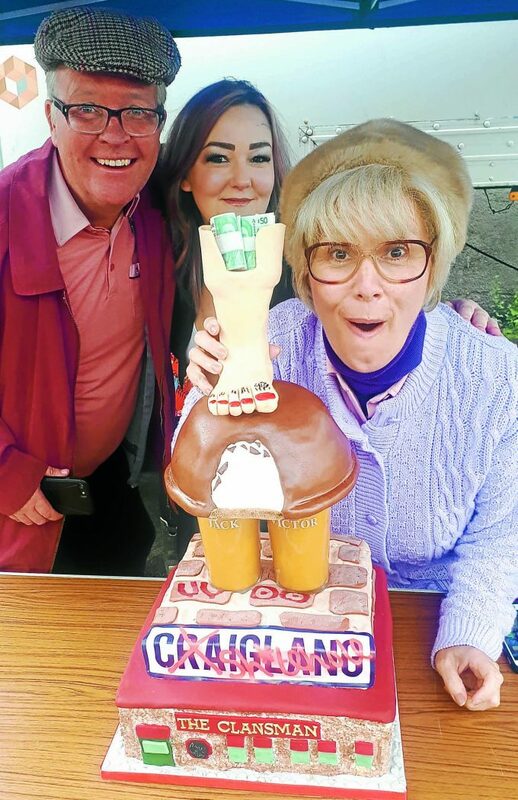 A BEATTOCK baker helped give the cast of BBC Scotland’s Still Game TV show a memorable send off thanks to her fabulous cake. 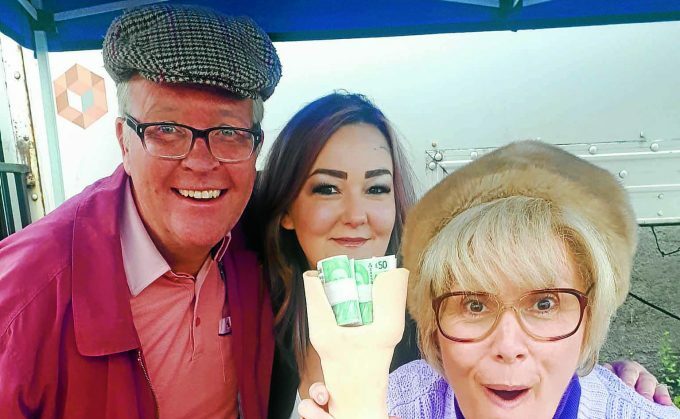 Lisa Hall was over the moon when she was asked to create a cake for the popular programme’s wrap party, as it prepares to air its last season after 16 years on TV later this year. Super fan Lisa created a cake in five parts based on the TV series. The bottom tier was a double chocolate whiskey fudge cake in the form of the Clansman – the character’s local pub. Next was a Craiglang sign with a famous Scottish dessert filling, Cranachan. And the giant teacake, a Scottish snack favourite, featured marshmallow flavour sponge with marshmallow laced through it and complete with a Scottish shortbread biscuit base. And to embellish she included pint classes and the fake leg from character Winston. But Lisa didn’t just get the chance to make a cake for Jack, Victor, Wintson and the Craigland gang . . . she also got to meet the cast too. She said: “The reactions and reception I got from the cast, producers and fans of the show was more than I could have asked for. “I can’t begin to describe the wonderful nature of these talented people.